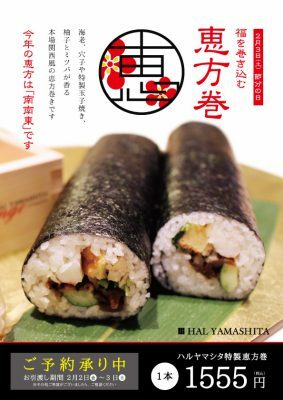 Eho-maki is a thick sushi rolls which is believed to bring good fortune if eaten eaten while facing the year’s “Eho” which literally means good direction. Eho this year is south- south-east. Please make an order in advance from the link below.